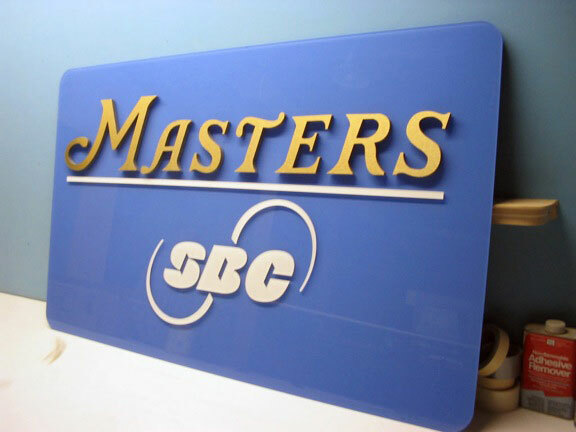 Custom Lobby Displays | Lobby display with float mounted clear acrylic backboard back-sprayed in sign enamels.. The graphics are CNC routed brushed gold and PVC. Lobby display with float mounted clear acrylic backboard back-sprayed in sign enamels.. The graphics are CNC routed brushed gold and PVC.